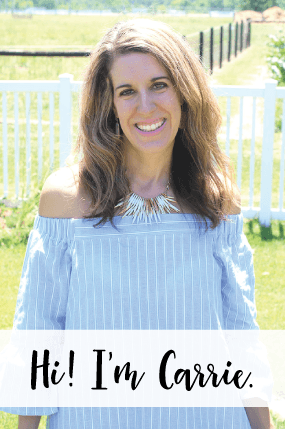 The temps are warming up and I’m excited to get outside for some warm weather activities and fun! 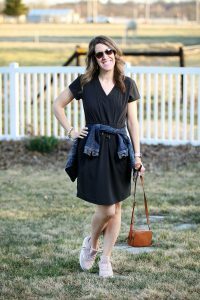 Today I’m sharing Two Stylish & Outdoorsy Looks for the Spring and how I save money by being a REI Member. Just because you’re outdoors all day, doesn’t mean you need to sacrifice style over comfort. This REI Aoraki Travel Dress is a versatile piece that can be worn alone or styled with a denim jacket and comfortable colored sneakers. *10% will be paid by single-use digital member bonus card. Valid 4/12/2019 – 4/22/2019. Terms and conditions apply to this offer. Go to REI.com/member-bonus for offer terms and conditions. 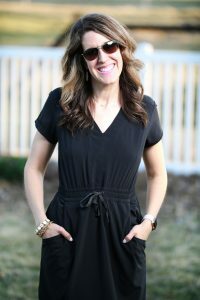 The real reason I love this dress for the outdoors, though is that it has 4-way stretch polyester wicks which makes it breathable and offers UPF 50 sun protection. Its durable water repellent finish causes water to bead up on the face fabric and not on your skin! Better yet, it has pockets and a hidden, zippered security pocket. 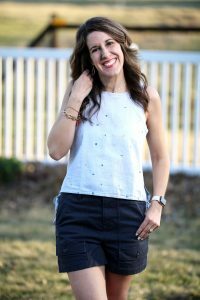 The drawstring waistband gives it a comfortable and flattering fit. I enjoy getting outside as much as I can, especially in the Spring after I’ve been shut in all Winter. 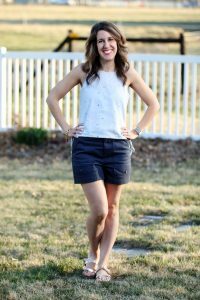 I love REI’s new Spring line and how comfortable and stylish the Northerwoods Tank Top and Trailsmith Shorts are together. The tank top is made from a lightweight blend of hemp and organically grown cotton and is available in several colors/patterns. The shorts have a little stretch and are made of a durable cotton/polyester/spandex fabric blend which wicks away moisture. 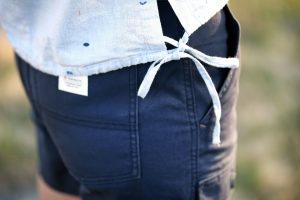 There is an abundance of pockets on these shorts, with 2 hand pockets, 2 button thigh pockets and 2 patch back pockets. Becoming a REI Member will help you save while you shop for Spring outdoor clothing. Don’t forget to save with the Promotional Coupon Code MEMPERK2019 to receive a discount for 20% off at check-out on REI Spring clothing. This offer is from 3/22/19 – 4/8/19. For terms and conditions, visit: rei.com/coupons. I’m looking forward to soaking up some Vitamin D with my family this Spring. We enjoy outdoor festivals, concerts, picnics with all of the delicious produce that the Spring starts to bring, a game of frisbee or just a walk on the trail by the river. This Northerwoods Tank Top has side ties that are adjustable, so you can customize the fit. Save on REI Adventures: Co-op members get special pricing on REI Adventures trips, where you get to actively explore extraordinary places in small groups with our expert local guides. Support causes you care about: Every year, the co-op invests in the work of nonprofit partners who help hundreds of organizations improve outdoor access for all. What are some of your favorite places to visit once the warm weather of Spring hits? Be sure to become a REI Member, so you can enjoy Spring in comfort and style!